Click here to reserve one of the following 4 parks. This park is fenced on the northern side and the western side to separate from the highway and the Sunken Gardens. Access via steps from Main Street just east of the entrance to the Sunken Gardens. Parking is available on Main Street and parking lots across the street. Cost is $75/day from sun up to sun down. 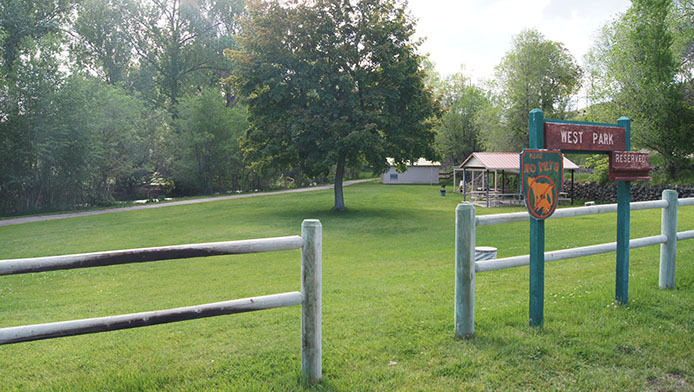 Fee includes pavilion, picnic tables, portable restrooms and volleyball net for your use. No power or water available. 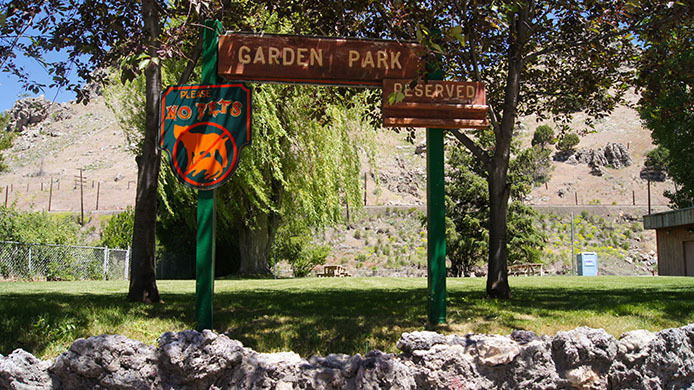 East Park & West Park are located adjacent to the Hot Pools with the Portneuf River on the south side. Access via foot bridge at the end of East 3rd Street or road behind the Community Building/Senior Center off Hwy 30. A parking lot divides the East and West Parks. No barrier between the West park and the Portneuf River. Cost is $75/day from sun up to sun down. 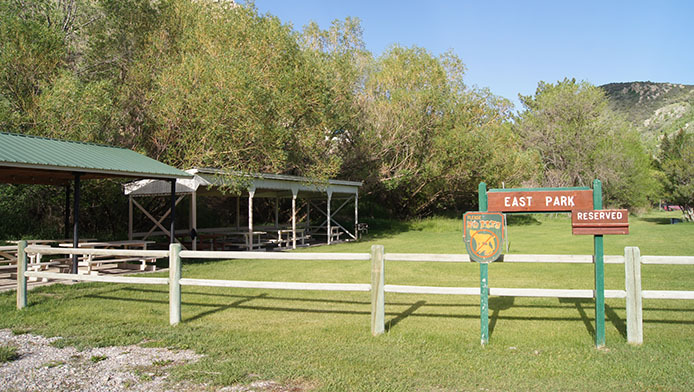 Fee includes 2 pavilions, picnic tables, portable restrooms and volleyball net for your use. No power or water available. Located east above the downtown park, half a block above the Hot Pools on the south side of Main street. Parking is available on Main street and parking lots west of the park. Cost is $75/day from sun up to sun down. Fee includes 2 small pavilions, picnic tables, portable restrooms and volleyball net for your use. No power or water available. Sunken Gardens Park - NO Reservations needed. 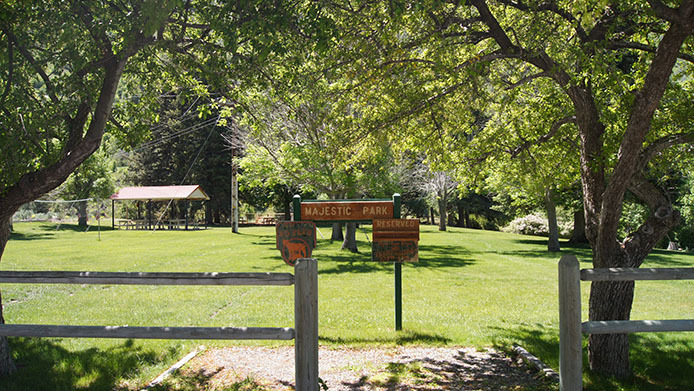 This park is located above and to the east of Hot Pools. Parking along main street or across the street in parking lot. Lava Hot Springs Downtown Park - No reservations required. 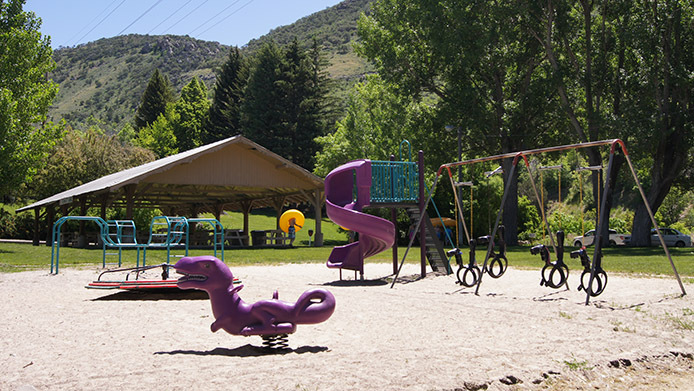 Has portable restrooms, playground, pavilion and picnic area. First come-first served basis. 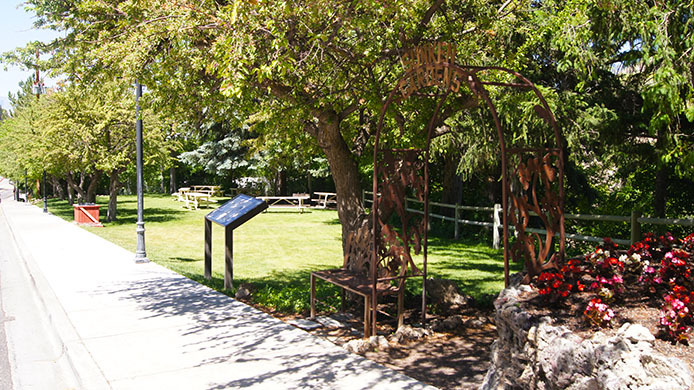 It is located on main street across the street from the Hot Pools 430 E. Main St. 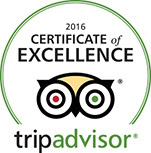 Located on 5th & Main (five blocks west of Center Street). 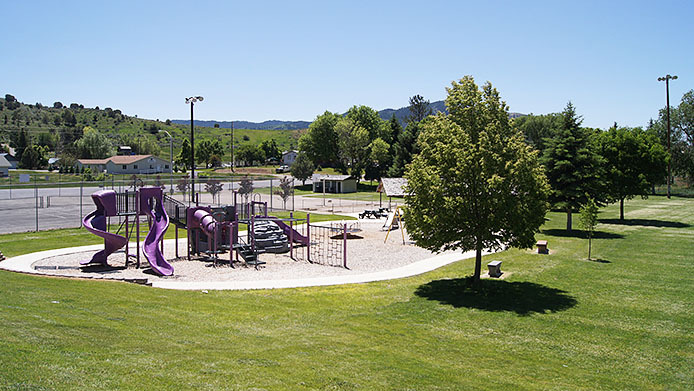 It contains a large and small pavilions with tables, public restroom facilities, tennis courts, basketball court, Horseshoe pits, Volleyball posts, baseball diamond and playground. Perfect for family reunions. Rodeo Grounds with night time lighting and stadium benches. 2 Pavilions and Horse shoe pits.